Academic support: Balancing schoolwork with family responsibilities can be a challenge. UNC has a number of resources for students needing support. The Center for Student Academic Counseling offers academic counseling and personal support. The Learning Center offers peer tutoring, academic coaching, time management tools, and test preparation resources. It also helps students set up or find study groups. Undergraduate Retention works to help students remain in school. The Writing Center offers writing coaching, online writing support, and support for students whose first language is not English. Many departments that teach large general education courses offer subject-specific tutoring or help rooms (e.g., Math, Biology, Psychology). Full-time, single graduate students are eligible for one-bedroom apartments only. You must be a full-time student to be eligible to live at Baity Hill. Priority is given to students with families. You will need to submit an online application through the Housing Portal at myhousing.unc.edu. You must have valid Onyen and PID number to submit an application. A $200 non-refundable application fee is due with your application. Office of Scholarships and Student Aid: Contact Susan Clough regarding possible loans for daycare. The Office of the Dean of Students is committed to providing essential education, programs and services to support students’ academic, personal and professional development. They offer an array of student support options. The Student Emergency Fund, through the Office of the Dean of Students, helps students who experience unexpected financial hardships and who have exhausted all other resources. Campus Health Services offers a wide array of services to support the health of UNC undergraduate and graduate students, as well as post-doctoral fellows. Counseling & Psychological Services are open for walk-in first time counseling appointments on Monday – Friday from 9am-12 and 1pm-4. Carolina Cupboard‘s mission is to “overcome food poverty and hunger within our campus community through the donation of food and resources to students.” Their resources are also listed here. Students for Life offer $500 scholarships from their Parenting Student Assistance Funds. Applications available from the organization or at the CWC. UNC PD “hosts a Child Passenger Safety Program which provides resources and outreach to parents and caregivers to help educate them on proper transportation and restraints for children, as well as to assist with the task of ensuring child restraints are used and installed properly.” Three officers hold the National Child Passenger Safety Certification, which trains technicians to install car seats and to provide free “one-on-one personalized instruction on how to properly use [the] child’s car seat.” To set up an appointment, complete this online request. The 2010 UNC-CH Parenting Resource Guide for Parents and Parents- to-be contains various pregnancy and parenting resources, both on campus and in the surrounding community. Topics include Childcare Resources, Finding Financial Assistance for Childcare, On-campus Housing, Local Public School Systems, After-School Childcare, Local Family-Friendly Activities, Financial Aid and Community Assistance, Healthcare Resources, Low-Cost Health Care Providers, Pediatric Providers, Mental Health Resources and Providers, Legal Resources, Nursing/ Lactation Support, Pregnancy Resources & Social Support, Resources for Families of Children with Special Needs, and Transportation. UNC Campus Rec offers programs for kids, like Kids ROCK! (check special events calendar). Students, faculty, and staff have the chance to play and exercise with their children, age range 5-12 years old. Additionally, employees may add partners and dependents to their membership, including prorated pool only access. UNC summer camps: Various units of UNC offer fun and educational summer camps. For example, the Carolina Center for Educational Excellence offers several STEM-oriented camps (e.g., Morehead Planetarium), and the NC Botanical Garden offers youth and family programs. The Family Support Program compiles a list of local and state-wide camps annually, with special attention to camps’ abilities to accommodate children with special needs. Additionally, a number of sports teams sponsor summer skills camps (e.g., soccer, basketball for boys and girls). Dining Services offers meal plan holders a reduced-price $5 option for children 6 and under at Top of Lenoir and Rams Head. UNC Hospital offers a student/employee discount on prenatal classes. See their upcoming events page for more information. The Office of Human Resources provides employees with information about and support accessing their benefits. Of particular interest: benefits-eligible employees can use their NCFlex Dependent Daycare Flexible Spending Account to pay for childcare. The FSA allows for pre-tax deduction and reimbursement, up to $5000/year, for the costs of daycare for an eligible dependent (including children up to 13 years old and legal dependents who are physically or mentally incapable of caring for themselves). Employees can also take advantage of paid time off through the Community Service Leave program, which enables employees to participate in volunteer activities such as attending children’s fieldtrips or volunteering in the classroom (through the high school level). LGBTQ Center sponsors a variety of programs for the support, education, and enrichment of our campus community. The Carolina Women’s Center is a supportive parenting environment and resource hub for faculty, students, and staff on campus. 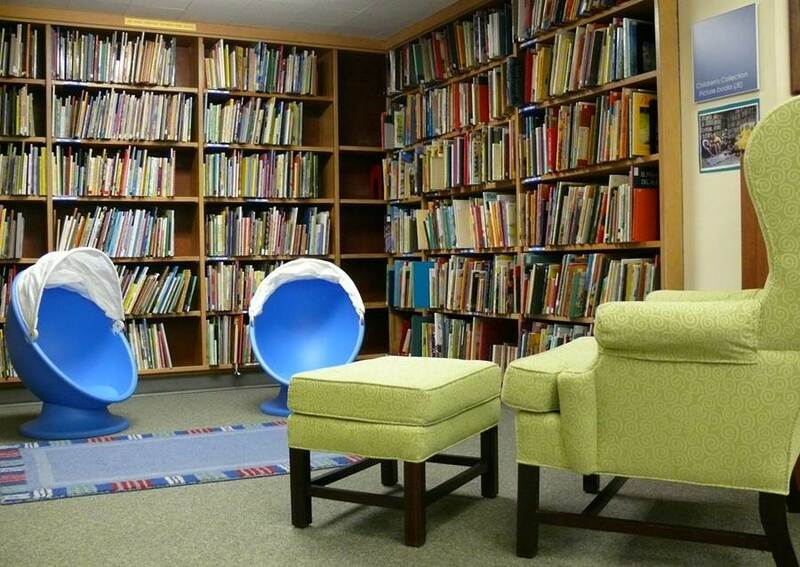 A lending library stocks a number of books on parenting issues. See below for a list of available titles. The CWC also offers lactation space, as well as child-friendly study space. Families are welcome in the libraries, but children under the age of 14 should be accompanied by their parents or guardians at all times. If you would like a semi-private study space with your child, there are group study rooms in several libraries across campus. These rooms may be booked online. You can view information about study rooms, areas with comfortable furniture, and more here. All UNC libraries are breastfeeding friendly. There are changing tables in the R.B. House Undergraduate Library, as well as dedicated lactation rooms nearby in the Student Union and Student Stores. You can view a map of all lactation rooms on campus here. The Media Resources Center, located in the basement of the R.B. House Undergraduate Library, has a large selection of films. Children’s and family titles are available to stream or to check out on DVD with your OneCard. To search for available films, visit Filmfinder. The School of Information and Library Science (SILS) in Manning Hall has a library with a large selection of children’s books and a reading space for children. The SILS library is located on the 1st floor of Manning Hall, and you may request any of their titles be delivered to other libraries on campus through the Carolina BLU book delivery service. To search for books held by any library on campus, visit the catalog. Dr Brian Sturm is a SILS faculty member and a master storyteller. He teaches storytelling classes and directs “Story Squad,” a local organization that does community outreach. He can be reached at sturm@ils.unc.edu. Novelist Plus is a database containing book summaries, recommendations, and reviews. If you or your child is looking for a new book to read, you may search the database here (click on the “available via…” link at the bottom). This list includes activities and resources for children, adult dependents, and elderly dependents. Check out CHillKids for family oriented fun in the Triangle Area! “Notes from a Mom in Chapel Hill” also has a lot of resources for parents and lots of posts about where to find “Kid Friendly” activities for the whole family! Chapel Hill Visitors’ Bureau Events page lists lots of family-friendly options. Kidzu Children’s Museum (Chapel Hill) is open Tuesday through Saturday. They host pop-up programs in University Mall as well! Chapel Hill Parks and Rec offers events, athletics programs, and recreation facilities. Durham Visitors’ Bureau provides a searchable listing of kid-friendly activities. The Museum of Life and Science in Durham has camps, classes, and after-school clubs for children. View hours and admission prices here. Raleigh Vistors’ Bureau listings of family friendly attractions and activities. Triangle YMCA provides a variety of programs and services (including childcare) at locations throughout the Triangle. Take part in a mom meetup, a healthy moms class, or a mommy and me class. Carolina Parent has tons of resources for parents, including parents of special needs kids, as well as updates on activities in the Triangle. Here is the link to their Calendar of Events. The Do Babies Matter? Facebook page, moderated by one of the authors of Do Babies Matter? Gender and Family in the Ivory Tower, regularly posts links about work/life balance, gender pay equity and child resources. News & Observer summer camp guides, compiled in partnership with Child Care Services Association, are hosted on the CCSA’s Additional Resources page. Collaboration of Duke University, NC Central University, UNC-CH, and the non-profit Child and Parent Support Services (CAPSS).